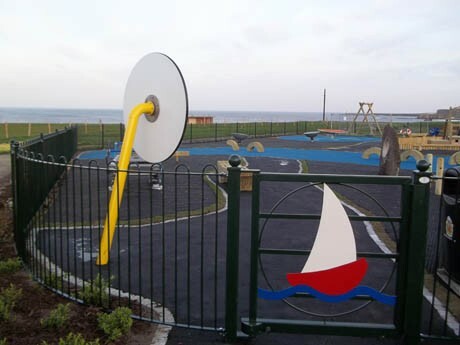 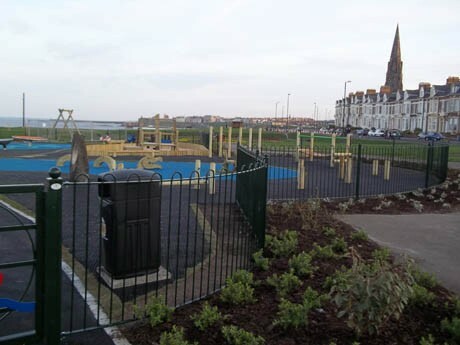 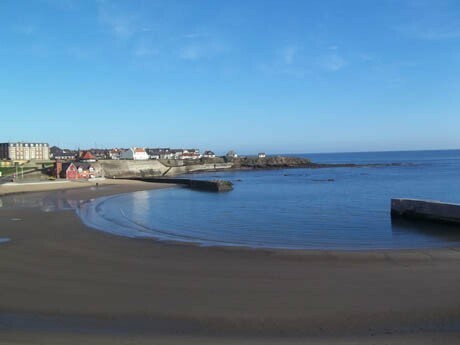 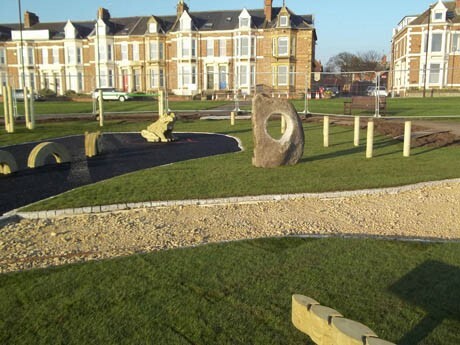 The tender process for North Tyneside Council’s new outdoor adventure playground at Cullercoats was highly competitive with the final designs and costings being scrutinised by the Landscape Architects and Play Development Teams. 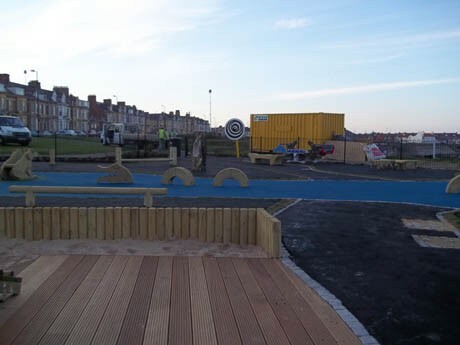 The beautiful seaside setting was not to be underestimated in the severity of the wind, rain and sleet that were blasted at Pennine’s in house site installers and engineers. 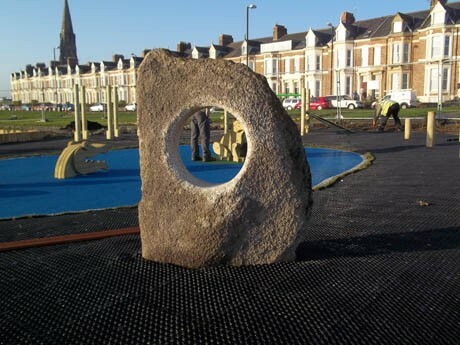 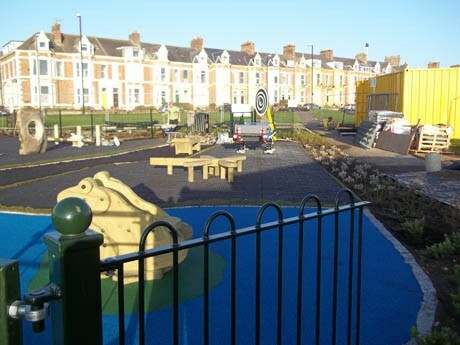 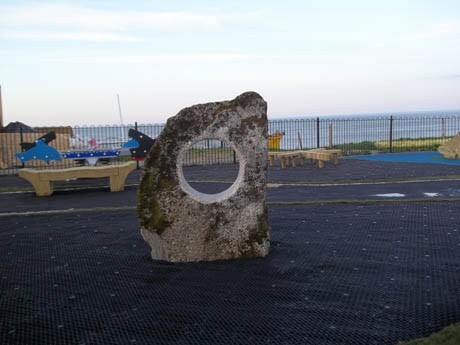 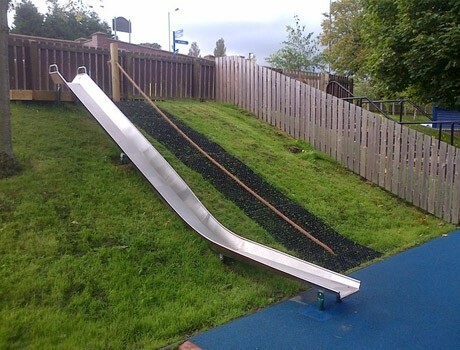 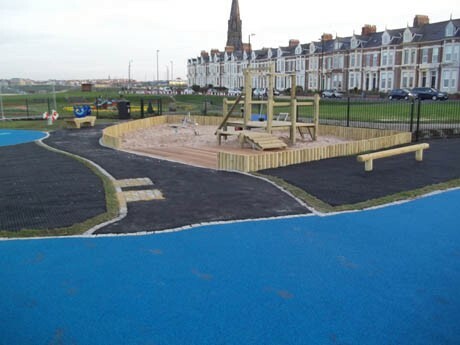 The new playground project was to be delivered within extremely tight time schedules, with the contract award being placed mid February, and the completion date set at end of March. 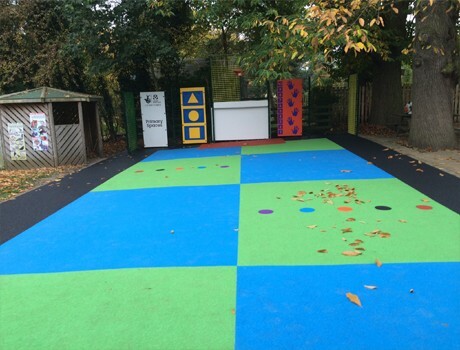 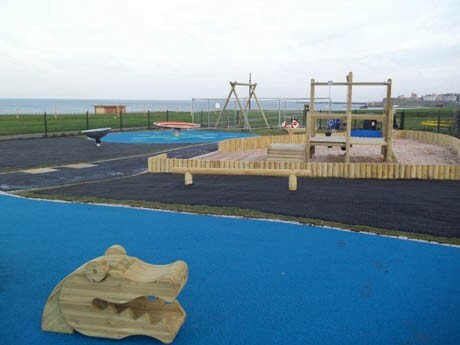 The playground manufacturers were diligent in their commitment to supplying the playground equipment in a timely manner which allowed Team Pennine to install and complete the amazing new play facility on time. 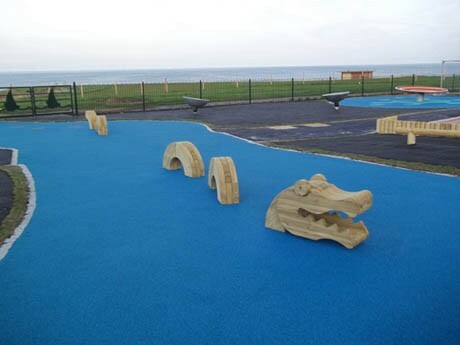 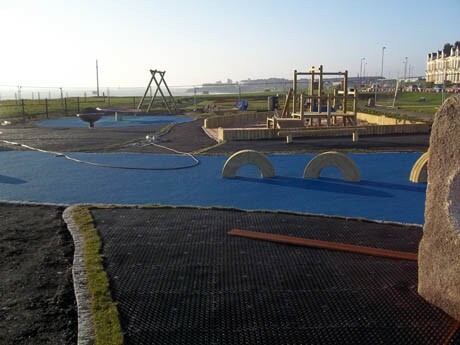 Pennine laid Flexiplay wetpour safety surfacing in bright blue representing the adjacent seashore. 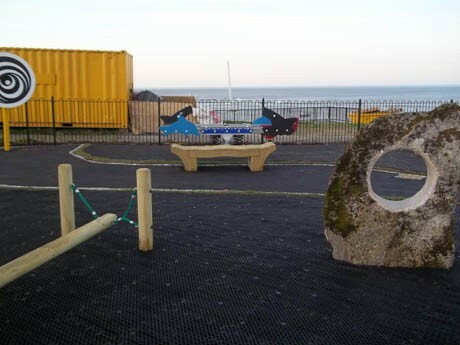 In a beautiful scenic setting this new playground experience compliments its surroundings and brings a very natural element to play.